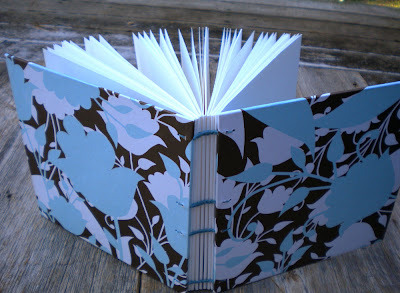 Our next swap book is from Cassie, known on Etsy as TheCraftyKitten. 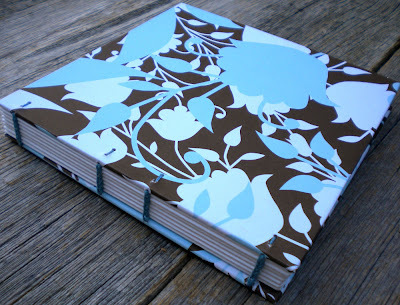 She made this square format journal using a chain stitch binding sewn with dark blue thread, and the front and back are covered with some pretty blue floral paper. Visit TheCraftyKitten.Etsy.com to see more of Cassie's books.